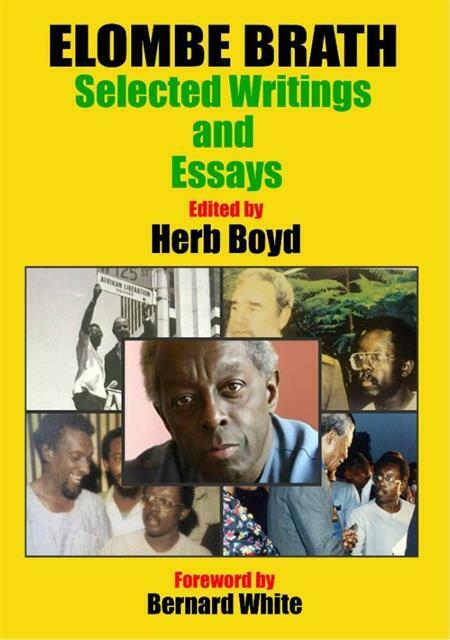 Elombe Brath Selected Writings and Essays by Herb Boyd, Sistas’ Place, 456 Nostrand Ave., 6PM Free. The December 12th Movement and The Elombe Brath Foundation present an evening with Elombe. Be among the first people to get the 468-page book, and at a reduced rate before its official release on July 27th. Editor Herb Boyd will discuss the book with Elombe’s son Cinque and other members of the Elombe Brath Foundation at the first unveiling of the book, with a foreword by Bernard White, exploring Africa, The Caribbean, The United States, Pan Africanism and Marcus Garvey. Call 718-398-1766 for more information. 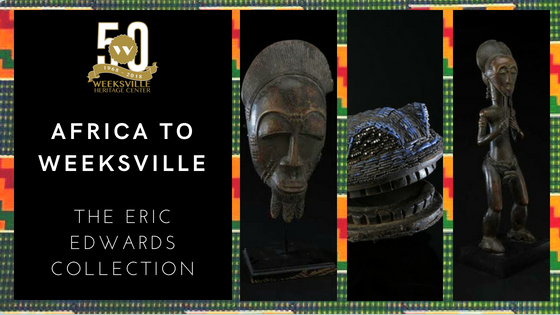 “From Africa to Weeksville: The Eric Edwards Collection” at Weeksville Heritage Center, 158 Buffalo Ave, (Bergen & St. Marks). Tues-Fri and some weekends, thru Sept 28th. Come view a portion (61 artifacts) of one of the largest collections of rare African artifacts in the United States amassed by an African American. The exhibition highlights the history and background on artifacts from 17 countries on the African continent and draws connections between the cultural practices of those countries and the people who built the community of historic Weeksville. 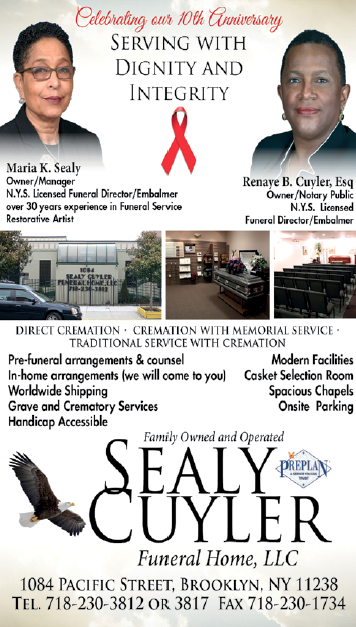 For more information, including hours, call 718-756-5250. REPRESENT! Beginner’s Embroider at Calabar Imports, Bed Stuy. 351 Tompkins Ave, 2-5:30PM Join Sahara Briscoe for an engaging afternoon on your path to Embroidery, a meditative and powerful craft for expression. You’ll learn a group of easy, essential stitches that will enable you to make personally cultural art for a perfect gift or an everyday boost. We’ll also discuss the creative possibilities for further expression. Max 8 participants. Price includes a custom-designed kit, containing: Pre-printed artwork on high quality linen fabric, hoop, thread, 2 needles, a cheat sheet of embroidery stitches and helpful links. Wine and light snacks will be served. Register at Eventbrite or call 718-928-3970. Free Lunch for Kids & Teens, New Lots Library, 665 New Lots Ave. at Barbey St., 1:15-2:00 Mon-Fri, – Aug 31st. Youth18 years and under at can enjoy sandwiches, fresh fruit and cold milk. Free Tennis Instructions for Children twice weekly in city parks across Brooklyn through the end of Aug, including: Fort Greene Park – DeKalb Ave. & S. Portland Ave. – Mon/Wed 9am-12pm; Jackie Robinson Playground – Malcolm X. Blvd. & Chauncey St. – Tue/Thurs 9am-12pm; – Lincoln Terrace – Buffalo Ave. & E. New York Ave. – Mon/Wed 1pm – 4pm; Prospect Park – Parkside Ave. at the Parade Ground – Tue/Thurs 1pm-4pm. Tennis pros transfer their love of the game, using fun exercises and drills to help teach kids the basics of tennis and discover a sport for life. There are classes for all skill levels, weekly competitions, and special events for intermediate-level players. Registration is onsite during program hours, based on availability. Beginner classes are in three one-hour sessions, depending on number of participants and available courts. Arrive on the first day based on your child’s age: 6-8 years in the first hour, then 9-12 and 13-17. Advanced instruction for intermediate-level players is available at select sites. Economic Solutions Center, Restoration Plaza, 1368 Fulton St., 2-4PM FREE. Topics: “What Causes Stress?” “Negative Impact of Stress;” “Healthy Ways to Cope with Stress”; “Peer-to-Peer Support” and, “A Safe Place to Talk About Issues.” For Information call 718-636-6994. Mandela Day International Day of Service Boys and Girls High School campus 12-4PM Free Students will spend the day honoring International Mandela Day with community service. Last year students planted a tree in memory of the former South African leader. They also painted the fence outside their school, cleaned up the park across the street and joined representatives from the South African Consulate to paint a mural of Mandela on the side of the school. Closing Celebration: Radical Women: Latin American Art, 1960-1985. Brooklyn Museum, 200 Eastern Pkwy, 1-3PM $16 (includes museum admission). Celebrate the last weekend of this groundbreaking exhibition with artist-led tours of the exhibition and a conversation about curatorial practice. Maria Evelia Marmolejo and Sandra Llano-Mejia kick off the celebrations discussing their work on view and unique approaches to performance. Also presentations by C. Ondine Chavoya, David Evans Frantz, Catherine Morris. For accommodations, assistive listening devices, ASL interpretation: access@brooklynmuseum.org. Mobile Legal Help Center 1222 East 96th St., (Senator Persaud’s District Office) Appts every 45 mins starting at 10AM Free. Legal assistance on civil issues related to: Housing (tenant only); Foreclosure; Public Benefits; Disability Benefits; Healthcare Benefits; Identity Theft; Debt Management; Consumer Credit; Immigration;Domestic Violence; Divorce; Custody and Visitation; Child support; Employment; Superstorm Sandy; Advance Planning; Appointments can be made through the District Office at 718-649-7653.